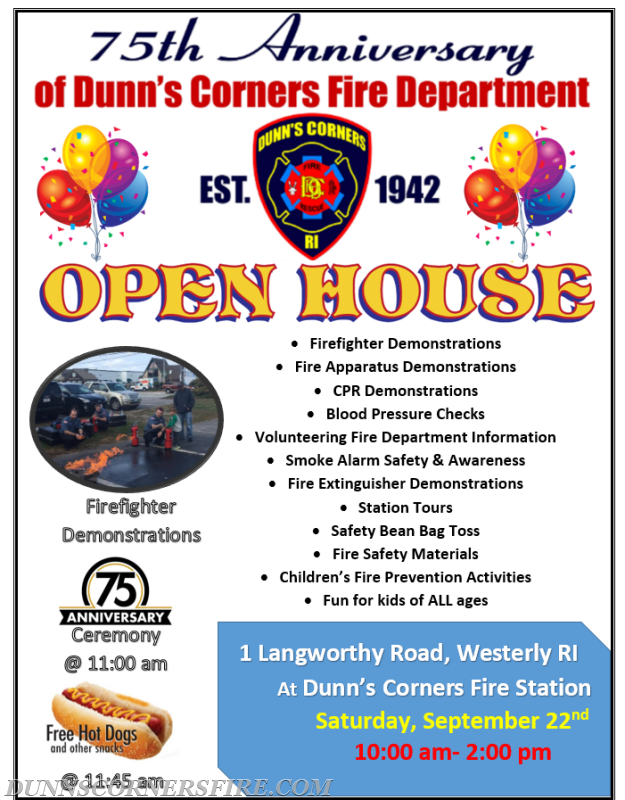 Dunn's Corners Fire Department is celebrating its 75th year of service to the community! On Saturday, September 22nd, 2018 from 10 am - 2 pm we will be holding a ceremony and open house at our DCFD Station #1 located at 1 Langworthy Road in Westerly, RI. Share this event with your friends & family and save the date!